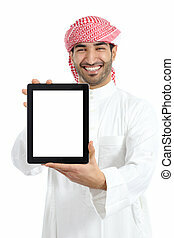 Arab man reading a tablet outdoor on white. 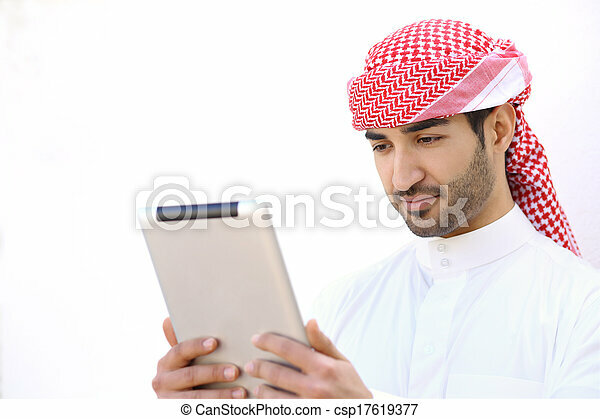 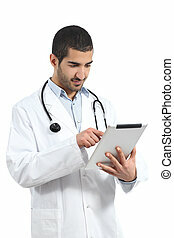 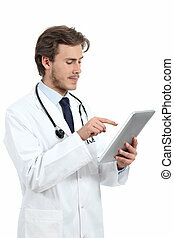 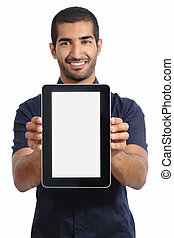 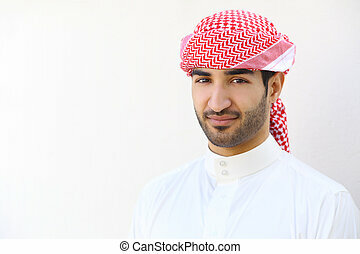 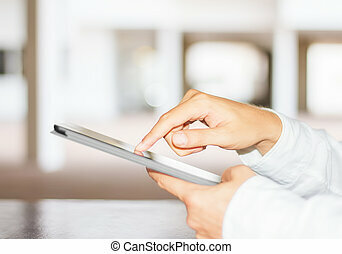 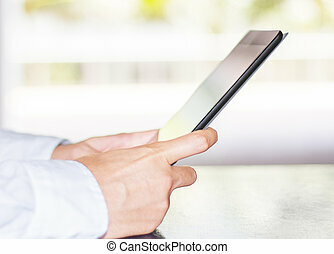 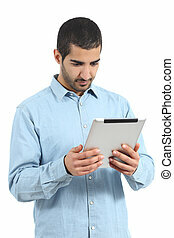 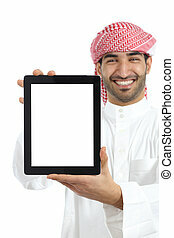 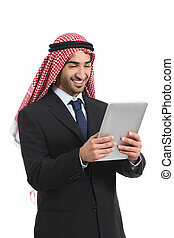 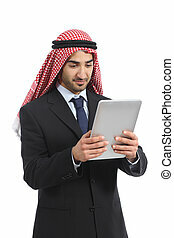 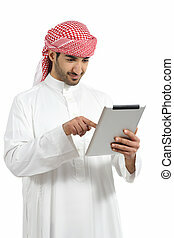 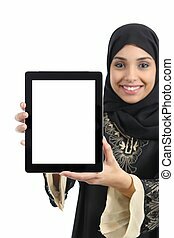 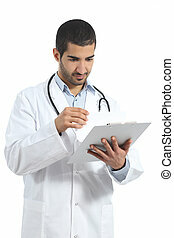 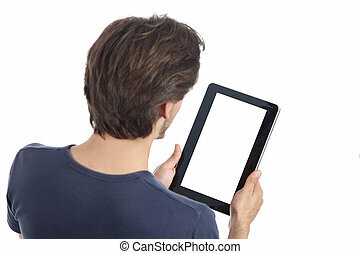 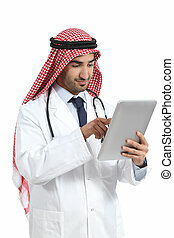 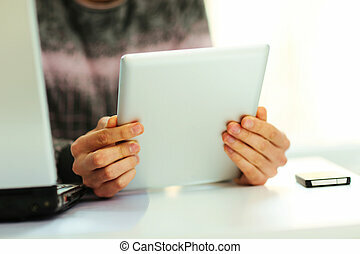 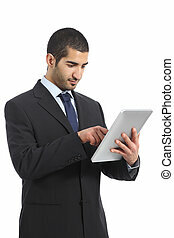 Arab man reading a tablet outdoor on a white wall. 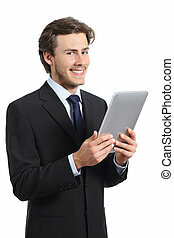 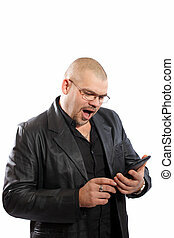 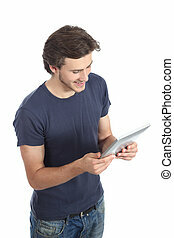 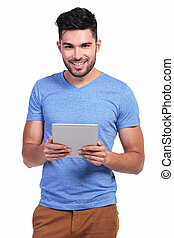 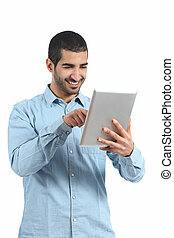 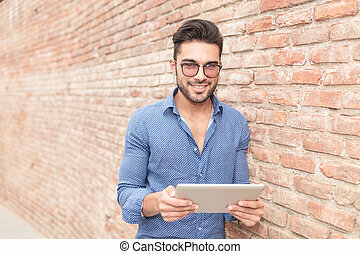 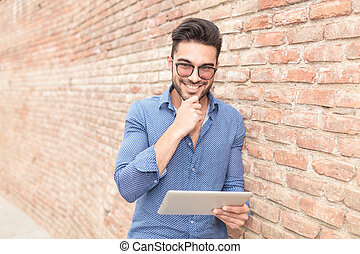 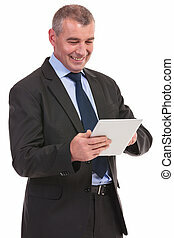 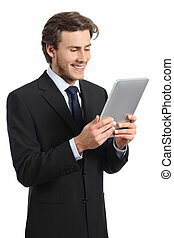 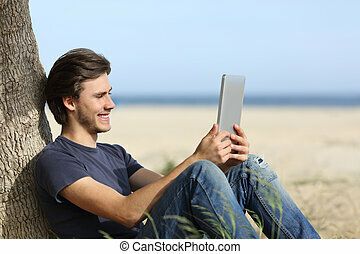 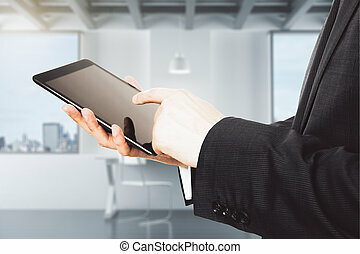 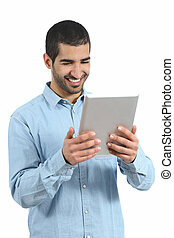 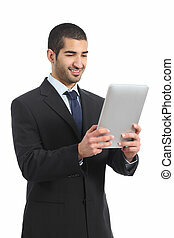 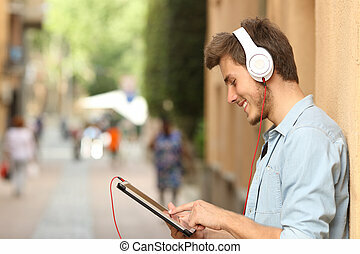 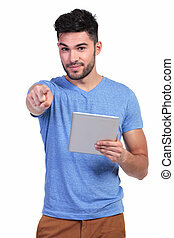 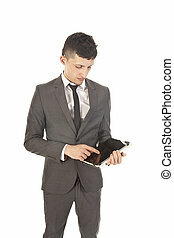 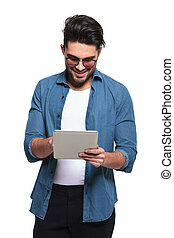 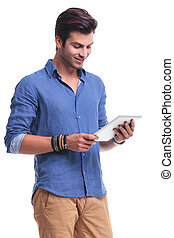 Young handsome casual man smiling while reading something on a computer tablet.